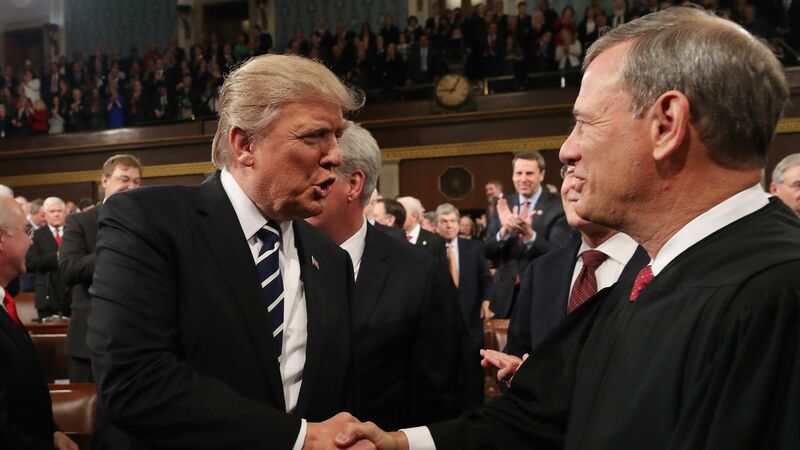 Supreme Court Chief Justice John Roberts said in a statement to AP on Wednesday that the U.S. doesn't have "Obama judges or Trump judges, Bush judges or Clinton judges," pushing back on President Trump's comments blaming an "Obama judge" for temporarily halting his asylum ban. Why it matters: Though oblique, it's still a rare public critique from Roberts directed toward the president, who has repeatedly bashed federal court decisions that have worked against some of his most controversial policies, like the travel ban. In his statement, Roberts added that an "independent judiciary is something we should all be thankful for."